Imagine you’re running a retail store that always has the right products at the right time. You don’t deal with surplus inventory, and you never run out of the products your customers want. But the reality of inventory management isn’t so great. Stores often struggle with stock control, and problems like shrinkage, excess inventory, and stockouts are common. Look, no silver bullet can fix your inventory management woes. But there is one practical step you can take to minimize stock control issues, and that is to look at your inventory data. Why track your inventory management metrics? By tracking your stock control data and metrics on a continuous basis enables you to spot trends and gain insights that can help you make better decisions for your inventory. But what should you track, exactly? This stands for Gross Margin Return on Investment, and it tells you the amount of money you got back (i.e. ROI) for every dollar you spent on inventory. So let’s say a retail store has a gross margin of $55,000 and an average inventory cost of $30,000. 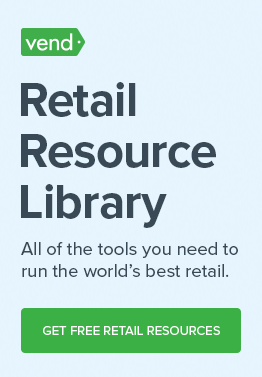 Its GMROI is 1.83, and that means the store earns $1.83 for every dollar in inventory. Once you’ve determined the GMROI of your products, go a step further and “work out how much profit you make as a proportion of your scarce resources.” That’s the advice of Damon Shinnie, the Finance Manager at Find Me a Gift. Knowing the answers to such questions will enable you to make better decisions when it comes to what products to stock up on or which items to discontinue. This refers to the difference between the amount of stock that you have on paper and the actual stock you have available. It’s a reduction in inventory that isn’t caused by legit sales. The common causes of shrinkage include employee theft, shoplifting, administrative errors, and supplier fraud. According to a survey by the National Retail Federation, the average inventory shrink as a percentage of sales was 1.38% in 2015. It’s important to note that data varies from one retail sector to the next. 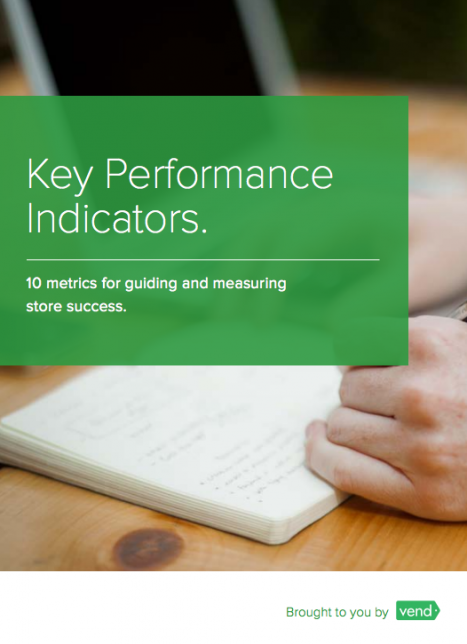 Measure shrinkage in your own store and see how you stack up against other retailers. This should give you an indication of how well your store is doing when it comes to inventory accuracy. Counting your inventory regularly is critical to spotting, preventing, and addressing shrinkage. Set aside time to physically count your products and aim to count every item at least once every quarter. Want to make inventory counts easier for yourself and your staff? 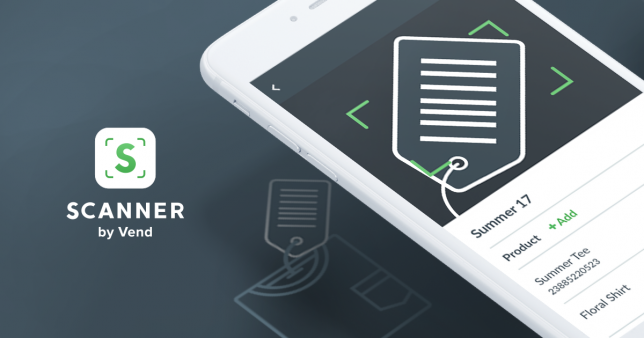 Check out Scanner by Vend, a nifty mobile app that lets you conduct physical inventory counts using your iPhone, iPad or iPod Touch. Just scan an item’s barcode using your phone’s camera and Scanner will automatically record the SKU for you. Scanner also syncs completed counts with your Vend account, so once you’re done counting, you can easily update your stock levels. Sell through is the percentage of units sold versus the number of units that were available to be sold. Let’s say a bookstore received 500 copies of a thriller novel from the publisher and sold 95 books after a month. The book’s sell-through percentage is 19%. In some cases, the unsold merchandise will be returned to the manufacturer (or in the bookstore’s case, the publisher). Some stores can also tack on a discount on the items to improve the sell-through percentage. Also known as inventory turnover, stock turn is the number of times stock is sold through or used in a given time period. In most cases, the higher the stock turn, the better it is for your store because it means you’re selling a lot of merchandise without stocking too much inventory. Let’s say an apparel store’s average inventory is $25,000 and the cost of goods it sold in a 12-month period is $100,000. Its inventory turnover is 4.0, and this means that the store sold out of its inventory four times that year. Your top and lowest performing products should always be top of mind, so track this metric regularly. Being fully aware of your of product performance means you can stay on top of stock orders, merchandising, and sales, among other things. What products should stock up on? Which items need a promotional push? The only way to answer these questions is to know your product performance like the back of your hand. Adam Watson, managing director at Hollywood Mirrors, says that product performance is something he constantly tracks. How to measure product performance: Tracking product performance should be fairly simple if your POS or retail management system has the right reporting capabilities (and most modern ones do!). Look at your product and sales reports, and pay attention to things like which products have the most and least sales counts, as well as which items are driving the highest and lowest revenues. When we first published this post, retail expert Chris Petersen of Integrated Marketing Solutions left a comment advising retailers to track lost sales. According to him, lost sales “can be estimated by the days a SKU is out of stock X the average or expected sales rate. Lost sales estimates is a good “counterbalance” metric to gauge if you are trying to run too lean on inventory, especially for top-selling SKUs. You know your metrics. Now what? So, you’ve familiarized yourself with different inventory measures — great! How do you extract value from them? The short answer is to track and use these metrics. It’s important to regularly monitor your inventory numbers so you can incorporate them into your business decisions. Accomplishing this depends on your business and the tools you have. The best way to get the inventory insights you need is to automate how data is collected and analyzed in your business. You can do this by using a point of sale or retail management system with strong reporting capabilities. If you’re using a modern POS or retail system, see if it has retail analytics capabilities or talk to your vendor about accessing the data and reports you need. If you’re a Vend retailer, for example, you can easily get your hands on the right numbers through the software’s reporting features. Vend lets you create product performance reports that provide you with the inventory insights you can use when making business decisions. 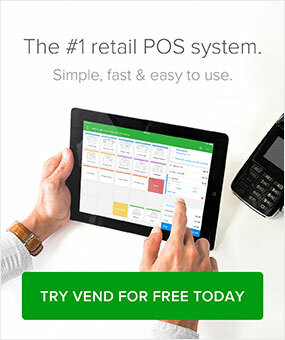 Not using a modern POS or retail platform? You can use a program such as Excel to track your inventory and metrics. It’s not ideal (especially if you have an extensive catalog), but it’s far better than crunching the numbers manually — or worse — not tracking your metrics at all. Looking at data such sell-through and stock turn will help you get a clear picture of your top performing products as well as which items aren’t moving off the shelves fast enough. From there, you can make decisions on how to merchandise your products in-store and how to sell them. Take a look at what T-We Tea, a San Francisco-based retailer that sells house-made teas and accessories, did with its products. They noticed that their low-margin items (such as tea accessories) were moving faster than their high-margin ones (house-made teas) so they opted to group them together at a slightly lower price. As a result, they were able to move products faster while maximizing profits at the same time. Knowing how fast a style is moving or how much return you’re getting out of a product can help you plan out your inventory ordering. For instance, if you discover that an item sells out every couple of months or so, then you can plan out how often you should be ordering that SKU. On the other hand, knowing your GMROI for different products can give you a better idea of which items are worth investing in, and how much you should spend on them. Measuring metrics such as shrinkage doesn’t just help you measure inventory losses, it can also give you valuable insights for improving your store procedures and security. If your inventory discrepancies and losses are quite large, perhaps you need to set better user permissions that restrict employees from seeing information or performing tasks outside their job description. You can also drill down on shrink by category or store area. Let’s say shrinkage is a lot higher in a particular department compared to the rest of the shop. Armed with this information, you can take a closer look at that department to figure out the reason behind high shrinkage. Are the items more prone to shoplifting? Are the products located in an area that can’t be monitored by your staff? The only way to find out is to look at the data and investigate. Here’s another example: let’s say you discovered that administrative errors (e.g. 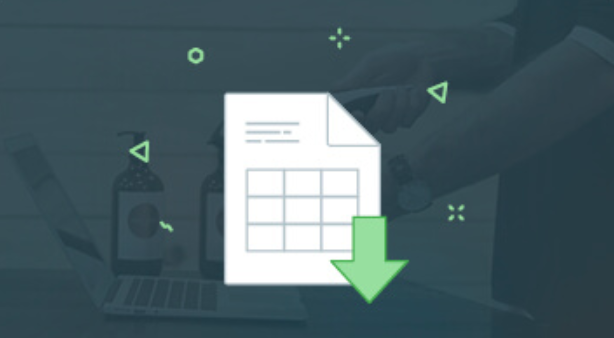 pricing errors, mistakes in markups or markdowns) are causing major discrepancies in your inventory records. You can use that information to start improving how tasks are carried out in your stores. You can, for example, automate certain jobs to reduce human error. We’ve all heard the cliche “knowledge is power.” It’s a compelling statement, but just as powerful is the fact that the lack of knowledge is expensive. This couldn’t be truer in the world of retail. If you don’t know your numbers around inventory or if you’re not aware of what your customers like and dislike, then you could be losing a lot of money. If you fail to make the right decisions around merchandising, marketing, and customer service, you’ll end up losing customers and missing out on revenue opportunities. Don’t let that happen to you. Start tracking your retail numbers. Only then will you be able to truly figure out what’s going on in your business. We hope this post brings you closer to doing that. Now it’s your turn: What are the top metrics that you track in your business? Let us know in the comments. The old adage is still true: you can’t manage what you don’t measure. Francesa, your blog is a great summary of the core metrics impacting retailer profitability and success. I’m a big fan of GMROI because it is an index of bottom line profitability contribution regardless of the product category. And in this age of declining prices and eroding gross margin %, stock turns becomes a major driver to increase GMROI by lowering average inventory. One metric not mentioned is “lost sales”. Lost sales is a bit more difficult to calculate but can be estimated by the days a SKU is out of stock X the average or expected sales rate. Lost sales estimates is a good “counter balance” metric to gauge if you are trying to run too lean on inventory, especially for top selling SKUs. I appreciate the comment, Chris. And yes, you make a very good point; lost sales is another critical inventory measure. Thanks for mentioning it!